NICU Nursing vs PICU Nursing: What’s The Difference? Bay Area nurses and nursing students who enjoy working with younger patients have many hospitals and clinics from which to choose, and just as many programs of care. El Camino Hospital, for example, offers several NICU options (Neonatal Intensive Care Unit), Level II NICU care (at its Mountain View campus) and Level III NICUcare (at its Los Gatos location). With so many options available, though, the world of pediatric care can sometimes be confusing to navigate for those unfamiliar and searching for their next career move. One of the first steps in choosing the right Bay Area pediatrics program is understanding the difference between NICU nursing (neonatal) and PICU nursing (pediatric). Level Two – Bay Area Nurses in level two NICU care for newborns 32 weeks old and who are recovering from complications. Level Three – Level three patients have a much higher level of complication. These include babies born under 32 weeks and those with critical illnesses (of any gestational age). This is the NICU level where subspecialties, respiratory support, and other advanced treatments are common. Level Four – A level four NICUis prepared to deliver the most advanced care possible, which often means infant surgery. For Nurse Mich, the job is demanding yet satisfying. Through the course of her work, she often becomes attached to her patients, even visiting them outside of her shifts. But one of the most important aspects of her job, she says, involves the parents. The level of care in the PICU tends to be just as personal, if not more so, than inside the NICU. 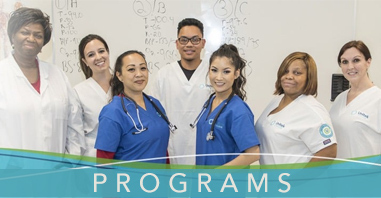 If you’re interested in studying to be a nurse or medical assistant in the Bay Area, contact Unitek College today for more information on our many available programs and to find a campus near you. 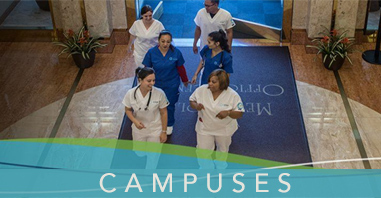 https://www.unitekcollege.edu/wp-content/uploads/2018/10/NICU-Nursing-vs-PICU-Nursing_What’s-The-Difference.jpg 1000 1500 Karen Herrera https://www.unitekcollege.edu/wp-content/uploads/2017/07/unitek-college-logo-01.svg Karen Herrera2018-10-02 21:47:542018-10-02 21:49:04NICU Nursing vs PICU Nursing: What’s The Difference?